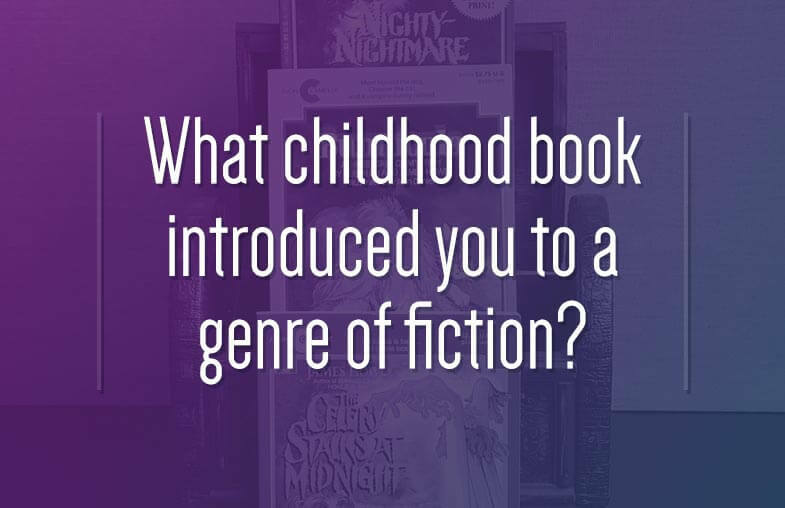 What childhood book do you remember introducing you to a genre of fiction, like sci-fi, fantasy, or horror? To the best of my recollection, the first "horror" book I read as a kid was Howliday Inn by James Howe. It was the second book in the Bunnicula series. As often happened, however, my library didn't have the first one, and I didn't know it was a sequel. So I just dived into it. I remember being a bit confused because I was missing backstory. But it didn't matter, because I was immediately pulled in to this tale of a dog and cat being sent to a "haunted" boarding facility. It was creepy and funny and just the right flavor of scary for me at that young age. 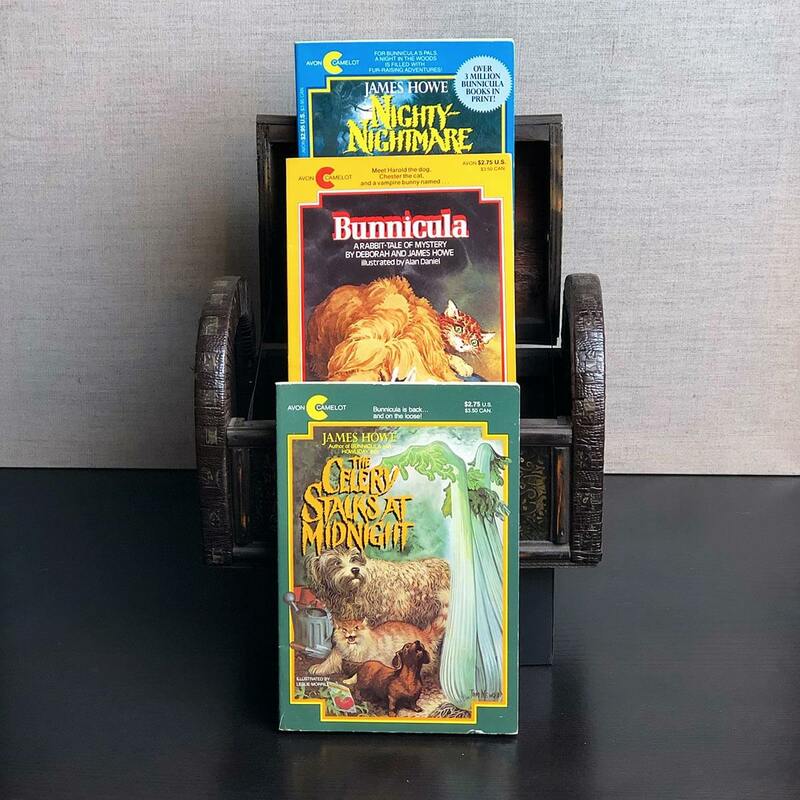 I eventually read all of the series that was available at the time – including book 3, The Celery Stalks at Midnight (probably my favorite), and book 4, Nighty-Nightmare. I picked up 3 of them over the years and still have those books but, weirdly, I've never owned Howliday Inn. I'd love to find an original copy that matches the rest of my collection. My first true Fantasy novel was Dragonworld by Byron Preiss & Michael Reaves. My librarian recommended it to me when I told her I'd grown bored with Hardy Boys books. I don't remember much about it other than it was illustrated. I just know that it catapulted me directly into my library's sci-fi and fantasy section with a joyful ravenousness. And I basically lived in that little corner of my town's library until I graduated high school and went to college. I've never owned a copy of Dragonworld, though maybe I should? What book from your childhood turned you on to a whole genre of fiction? Join in the conversation on Instagram or on Twitter!